Following recent events in the news you might have been hearing a lot about Islam and maybe the term 'Islamophobia' - but what does this mean? The UK is full of people who follow lots of different faiths and religions. Most of the time they all get along and people are free to live the way they want to. However, some groups are targeted because of their beliefs, and because of events that people blame them for - even if this is incorrect. Islamophobia is when Muslims are the victims of attacks just because of their religion. It is something that worries a lot of people. Islam is a religion, and the people who follow it are called Muslims. Almost a quarter of the world's population are Muslims and in the UK it's about 1 in 20 people. 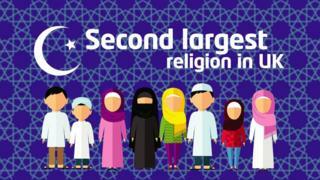 Islam is the second largest religion in the UK after Christianity. Islam is over 1,400 years old, dating back to the 7th Century. The Islamic word for God is Allah. The word "Islam" means submission to God's will and obedience to God's law. It comes from an old Arabic word meaning "peace." Why are Muslims being targeted? Some people have blamed all Muslims for recent terrorist attacks carried out by extreme groups who say they follow the religion of Islam. But, many people say those terrorist groups have extreme beliefs of hatred and violence that have little to do with what most Muslims believe. They say it is important not to blame a big group of people for what a small number of individuals have done. Islamophobia can result in Muslims being targeted, whether in person or online. They can be badly treated, insulted or even physically hurt. Many people think Islamophobia is created when a person doesn't properly understand what Muslims do or believe, and that the best way to combat it is to have a better understanding of Muslims and Islam.